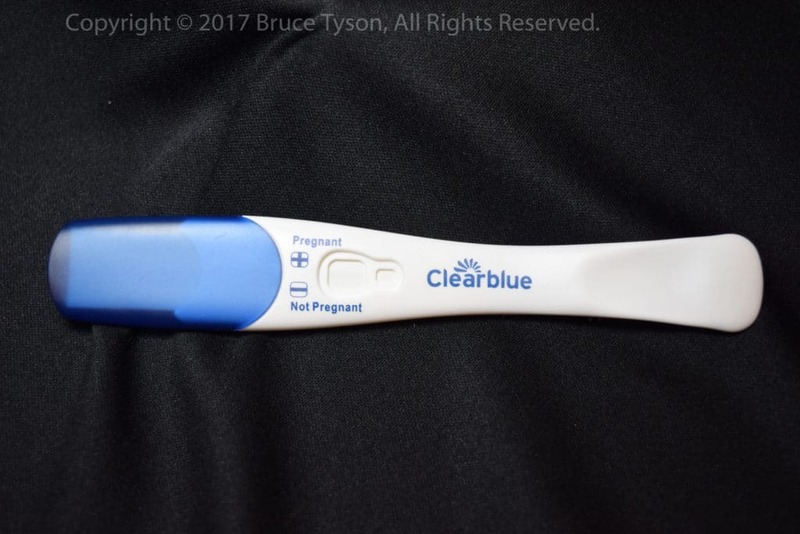 Clearblue Rapid Detection Pregnancy Test: Find Out Now! Get a healthy balance between affordability and a trusted national brand. The Clearblue Rapid Detection Pregnancy Test comes free of the bells and whistles that accompany the brand’s digital tests while inspiring your confidence. This fast and accurate test only costs a little more than store-brand tests, so you can enjoy the best of both worlds. Buy the test now from CPG Health or continue learning about it below. 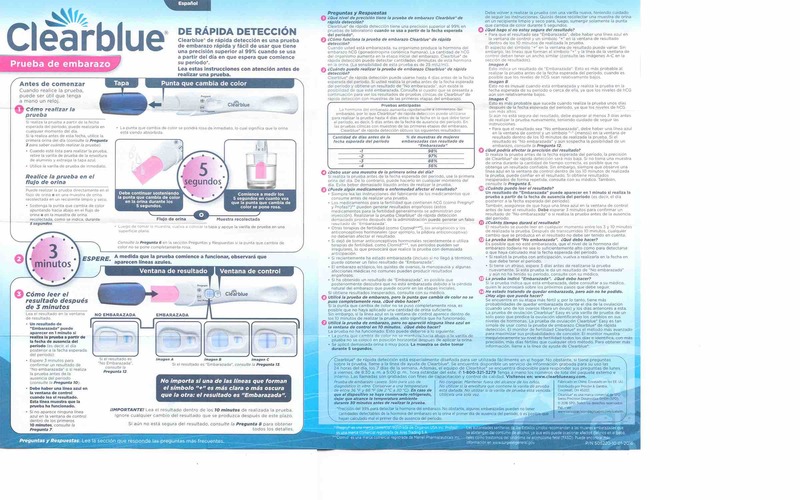 This Clearblue test comes in a box along with instructions in English and Spanish. Although a quick overview of directions is printed on the outside panels of the package, the instructional insert provides an in-depth step-by-step procedure for testing for pregnancy in the privacy of your home. As long as you follow the instructions, you will get test results that are 99-percent accurate from the first day of your expected period. In short, the Clearblue Rapid Detection test is a fast and easy-to-use pregnancy test that offers unsurpassed accuracy. Additionally, the design of the in-stream test stick helps you avoid the messy complications of some generic tests. In fact, the ergonomic grip ensures that you get your pee on the stick and not on your hands. Although this home pregnancy test is designed for instream use, you can choose to insert it into a urine sample stored in a clean cup. If you are using the Clearblue Rapid Detection Pregnancy Test on the day of your expected period or later, you can test at any time of the day. If you choose to test early, you should use your first-morning urine to improve the accuracy of your results. Of course, you should remember that this test – like all other home pregnancy tests – becomes less accurate when you test early. As noted above, you can test by sticking the absorbent tip of the test stick into your urine stream for five seconds or you can urinate into a cup and submerge the absorbent tip of the test into the urine for five seconds. After completing this part of the test lay the test on a flat surface. After lying the test stick on a flat surface, wait for three minutes. During this time, you will see blue lines appear as the test begins to work its magic. After three minutes, you can read your Clearblue Rapid Detection Pregnancy Test result. In fact, a “big fat positive” (BFP) might appear within one minute. Still, you should wait for the complete three-minute period to elapse before confirming a “big fat negative” (BFN) result. To be sure, a blue line must appear in the control window of your test to have a valid result. The control window is the smaller window that is to the right of the larger pregnancy result window. If, after completing your test, you do not see a line in this window, you should disregard your result, buy another test, and repeat the test to get a valid result. If you see a plus sign (+) in the large pregnancy test result window AND you have a line in the smaller control window, you are pregnant. On the other hand, if you see a minus sign (-) in the result window AND you see a line in the control window, you are not pregnant. What if I have a Clearblue Rapid Detection faint positive? A faint positive indication in your test-result window indicates that you are pregnant. Also, if you have a “+” sign in the window and one of the lines is darker than the other, you have a positive result. CAUTION: The instructions supplied here are for reference only. Product specifications, warnings, and instructions can change without notice. Always use the directions that come with the pregnancy test that you buy and use. If you have any questions about your Clearblue Rapid Detection Pregnancy Test Results, ask them to your doctor or other qualified professional healthcare provider. 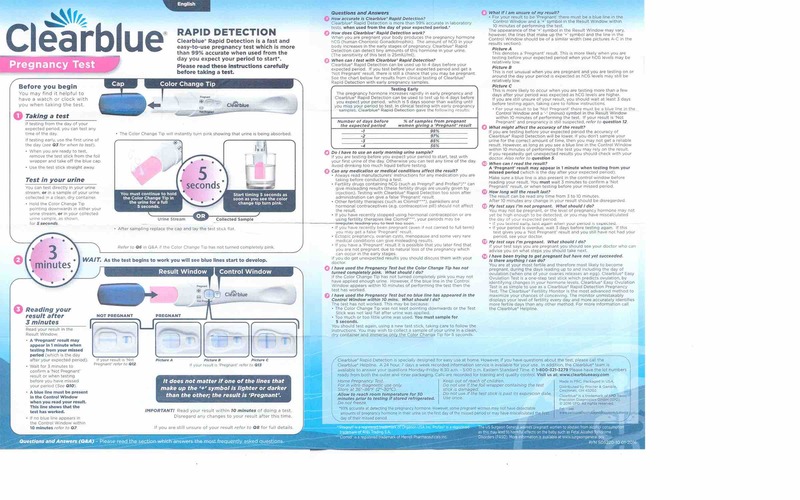 Clearblue Rapid Detection Pregnancy Test: Buy it right now from CPG Health. Our secure store is powered by Square, a leader in online payment processing. Normally, every order ships within 24 hours with Free Shipping.